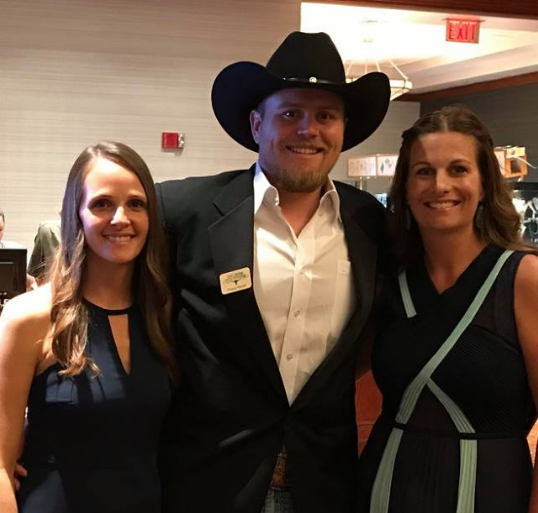 Head of the TLCA and Hired Hand customer via Rockin AF Ranch, Chase Vasut with Hired Hands' Jaymie & Molly. We did not include the 3 cataloged Donation Lots in our stats. 59 of 67 lots sold for a total of $1,155,800. The Shown & Consigned Average was $17,250.75. The Sold Average was $19,500. 23 Cash Cows sold (over $10,000). 38% of the overall sale were Cash Cows! Lot #45 topped the sale at a whopping $380,000. These are the top 5 Service Sires with at least 2 females bred or exposed to them selling in the sale, listed by average of their consignments, starting with the highest.